Mark Sait, managing director SaveMoneyCutCarbon, gives expert advice in Caterer & Hotelkeeper hospitality sector energy saving and water saving article. 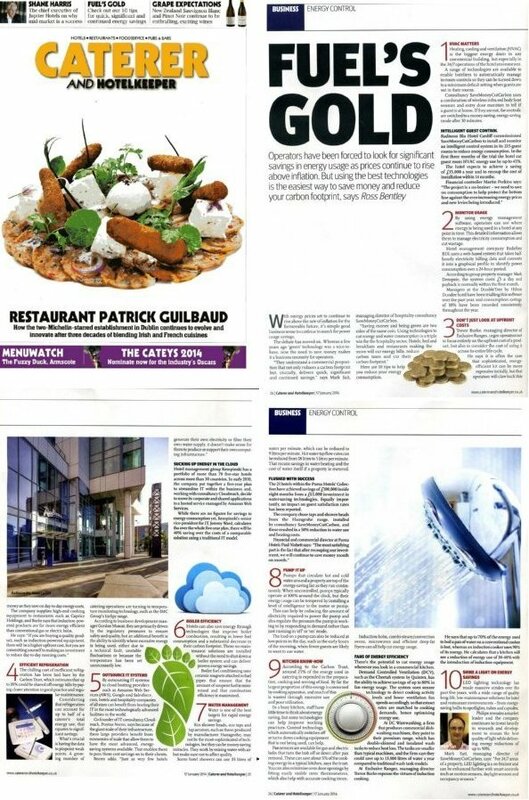 Caterer & Hotelkeeper January 17th edition has a three-page article by Ross Bentley, “Fuel’s gold” with 10 top energy saving and water saving tips for hotels, bed & breakfasts and restaurants. Mark backs his advice with real-world energy saving and water saving successes delivered to Carlson Rezidor hotel group and Puma Hotels, and covers LED lighting, HVAC guest-room controls, water management, intelligent heat pumps and boiler efficiency. More details on Caterer & Hotelkeeper here. Call SaveMoneyCutCarbon on 0845 123 5464 to discuss your energy-saving and water-saving needs or email for more information.